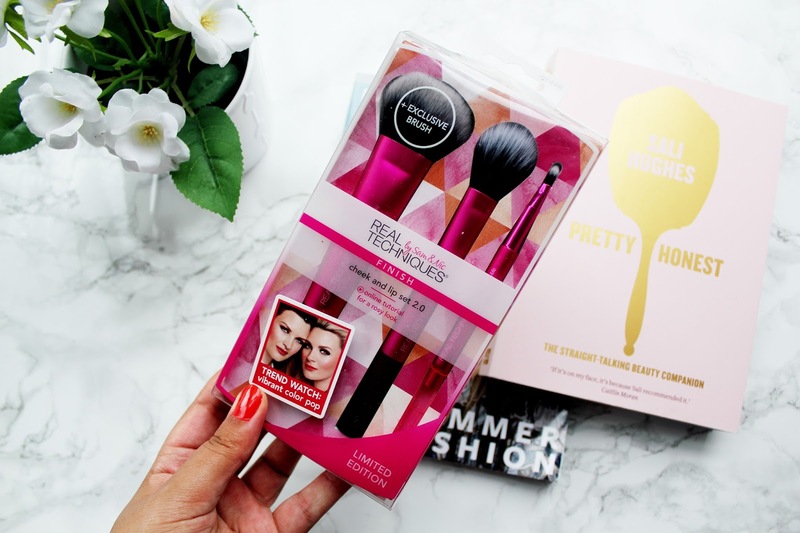 Real Techniques are known for being the budget friendly, high street make-up brushes made by YouTube make-up artists, Pixiwoo. Real Techniques bring out new brush sets every few months (or maybe a little longer) and I have never been left disappointed with any Real Techniques purchases I’ve made. I spied these brushes in Superdrug for about £11/£12 on offer and I knew I had to pick them up. This cheek and lip set is in the new Real Technique colours (hot pink) and its also limited edition, which makes it even more worth picking up. The cheek brush is exclusive to this set and it’s definitely a reason to snap this set up ASAP. What Real Techniques do well is larger brushes. 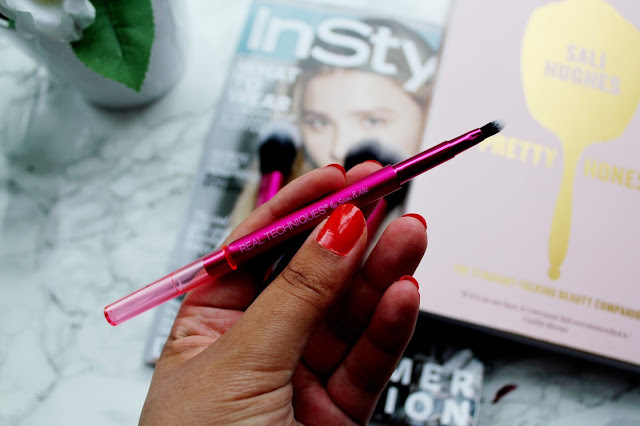 I couldn’t cope without my buffing brush or multi-task brush in my daily make-up routine now. The bristles are quite dense to this brush so if you’re a big blusher/bronzer fan this brush is for you. 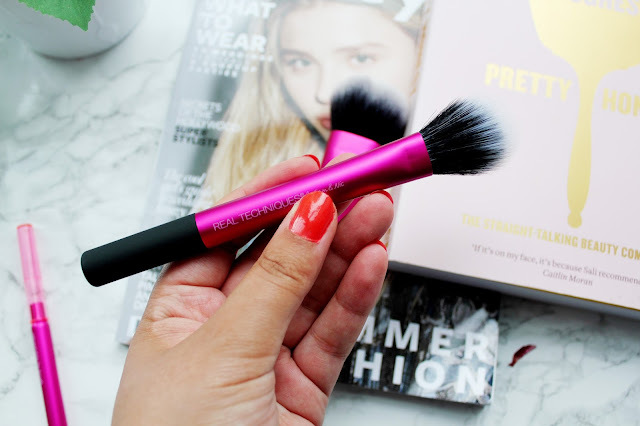 This brush can also be used with creams, gels and powders so it’s not limited to just using this brush as a blusher brush. The duo fibre contour brush is my favourite of the three brushes as compared the original contour brush, this one has less dense bristles. This brush works well with both cream and powder products. 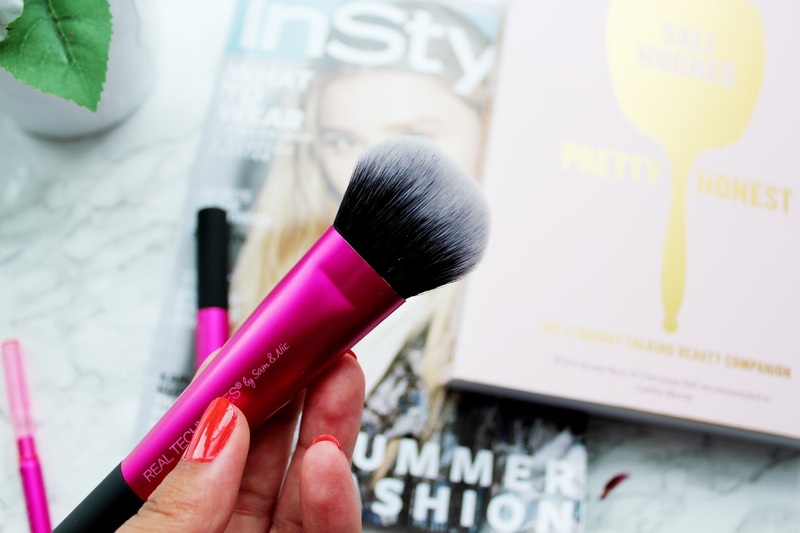 I like using this brush with bronzer to add a bit of colour to my face without a heavy application. The lip brush is probably the brush I’ll use the least. It’s quite dainty and a delicate, which allows for extreme precision. Have you tried this set from Real Techniques? What are you favourite Real Techniques brushes? 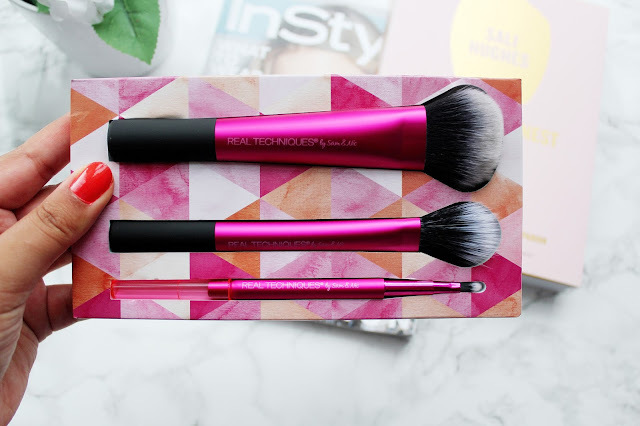 I got this set on offer too and I absolutely love the cheek brush! 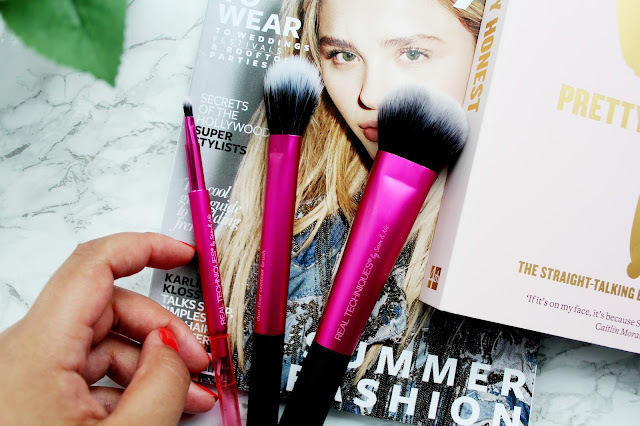 I love real technique brushes, I usually use them as a travel set, but I am using an eco brand at the moment!